My heart goes out to anyone who has never heard of the Moomins. No Moomin story at bedtime is a childhood (and adulthood) only half lived. The day that Tove Jansson created Moomin, Moominpapa and Moominmama is one that should go down in the history books. 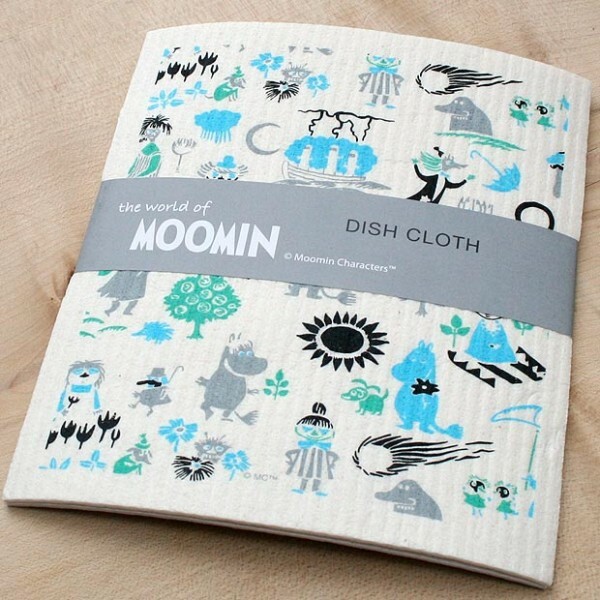 Moomin dishcloths! But not only Moomin dishcloths: they are plastic free Moomin dishcloths, made from cellulose material that can be washed and reused, and – when they can’t be washed any longer – can put in the compost bin. Genius! I am so going to buying some of these. My anti-plastic lifestyle just got a whole lot more stylish!